Our HDM ELISA kits can be used for measuring the major house dust mite allergens. For Dermatophagoides pteronyssinus this is Der p 1 ELISA kit and Der p 2 ELISA kit. For D. farinae this is Der f 1 ELISA kit. 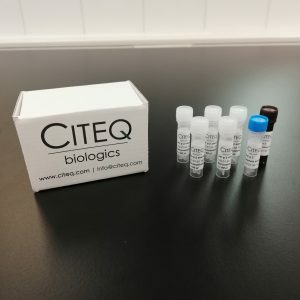 Using this Enzyme-Linked Immunosorbent Assay (ELISA) kit the concentration of these allergens in solution can be determined. The ELISA kits provides sufficient antibodies and standard to perform ELISA experiments on five 96-Well plates. 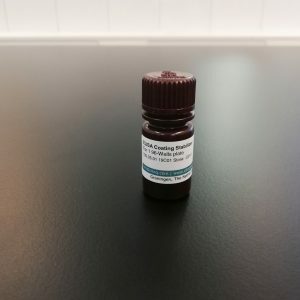 We can also deliver an ELISA coating stabilizer which is a ready to use solution for stabilizing ELISA plates for storage prior to performing ELISA. The coating stabilizer is easy to apply and once done will ensure that the plates remain stable for up to 8 months at 2-8 C without significant loss of signal.